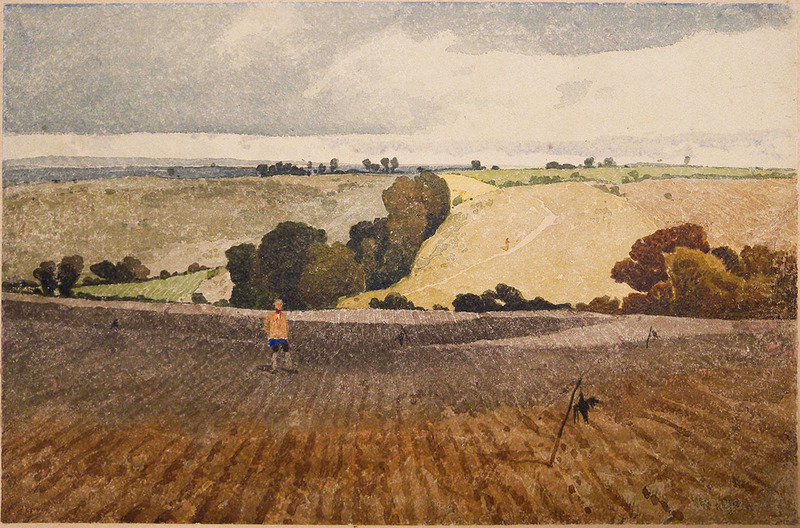 This article proposes a source for John Sell Cotman’s famous watercolour of ‘The Ploughed Field’ at Leeds Art Gallery. In the online catalogue of the Cotman collection at Leeds http://www.cotmania.org, I describe the watercolour as ‘the exemplar of his turn towards reticence and understatement… the supreme exercise in undemonstrative refinement and subtlety of its time’. It is one of the most travelled and exhibited of all British watercolours of its period and definitive of Cotman’s antithetical position in relation to Turner. The originality of the subject has struck most commentators, but is best expressed by Corinne Miller in the catalogue of the exhibition ‘Cotmania and Mr Kitson’ held at Leeds Art Gallery in 1992: ‘In terms of subject matter and composition it is both revolutionary and in advance of its time. 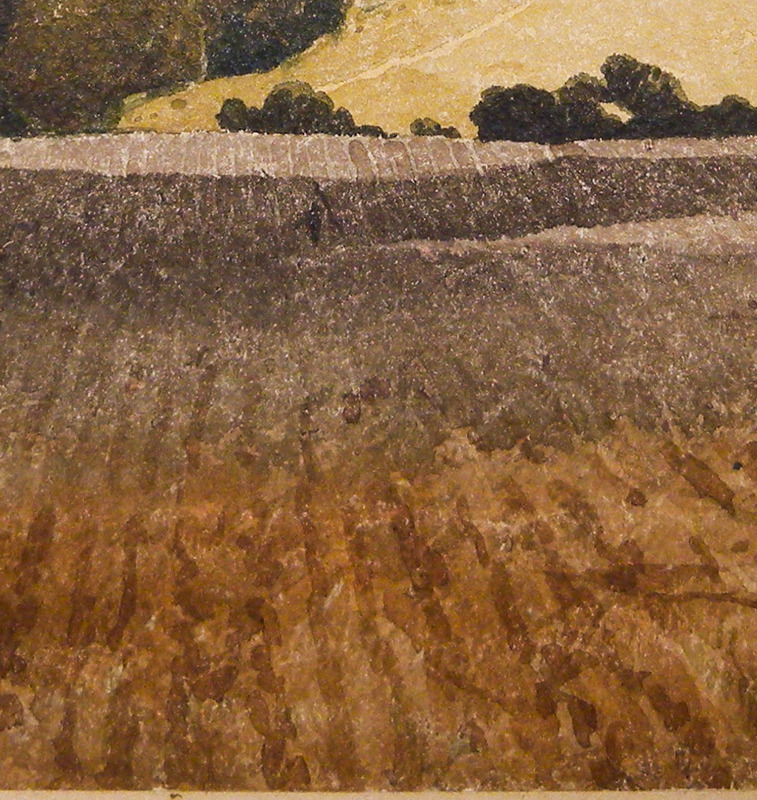 While the juxtaposition of the cultivated and the natural landscape was familiar to an audience whose countryside had been carved up and tamed by agrarian enclosures, the devotion of one third of the composition to the steeply receding furrows of the plough are without precedent and firmly establish this watercolour as one of the earliest examples of a romantic naturalism which was to take over from a ‘picturesque’ sentiment where there was no place for ‘worked’ land’. 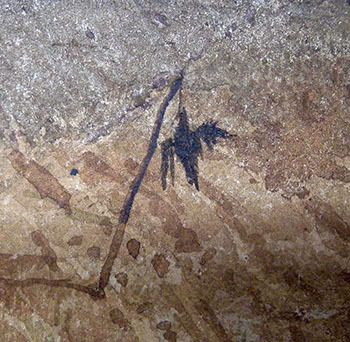 No-one, however, seems ever to have commented on the detail at the very front of the composition, of a dead crow tied to a stick. There are several more receding into the distance. The implication is that the farmer has just set them out in the field. This is a long-used and quite widespread crop protection measure. Not long again I almost became one of the deterrents. Blundering across a newly seeded field near Jervaulx Abbey, I began to wonder about the dead crows scattered about the field. It was only when an aggrieved shout came from a nearby hedge that I understood I was wondering across the field of fire of a hidden rifleman. The signpost missed at the entrance to the field pointed away from it, not across. No-one but Cotman seems to have led the polite viewer onto such cloying ground. 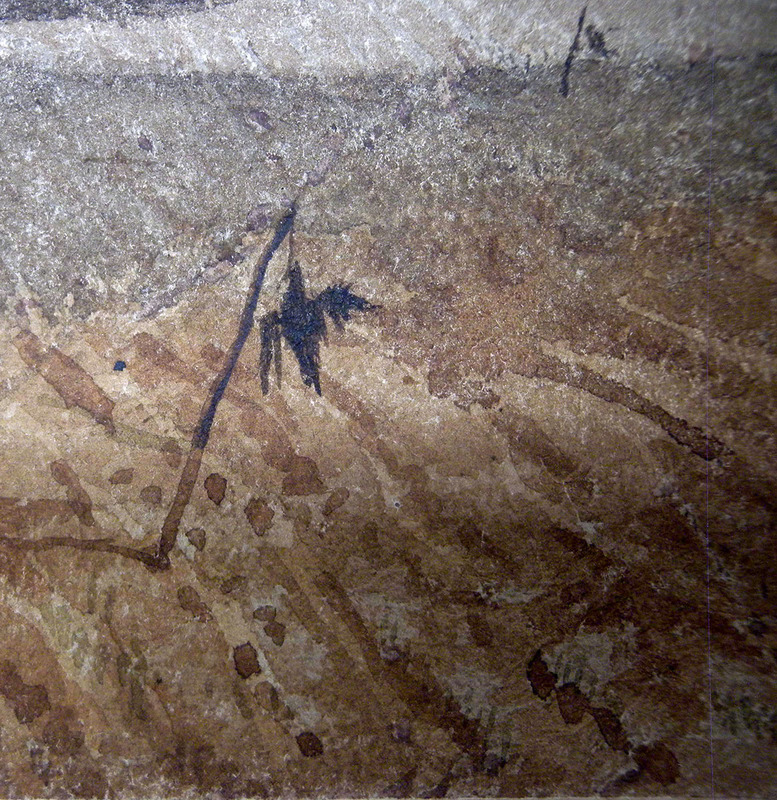 Equally no Romantic painter can have confronted their audience with such a macabre detail as a crow tied to a stick. It is clear enough that Cotman was proposing a somewhat alternative aesthetic, but the Cotman literature has never managed to develop an aesthetic context in which this might be situated. 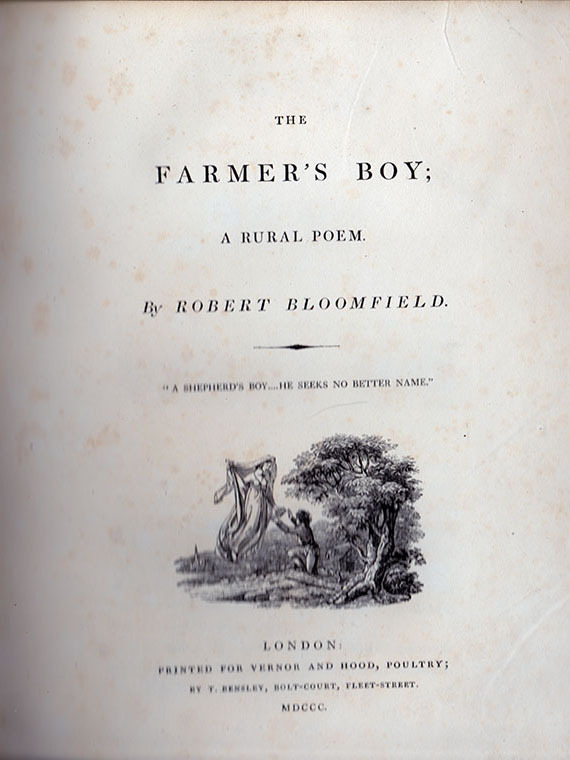 My thinking about Constable’s mezzotint of ‘A Summerland’ for Sublimesites.co, however, led me to the poem ‘The Farmer’s Boy’ by Robert Bloomfield, first published in 1800 and the realisation that Bloomfield exactly mirrors the two key elements of furrow plodding and dead crows. 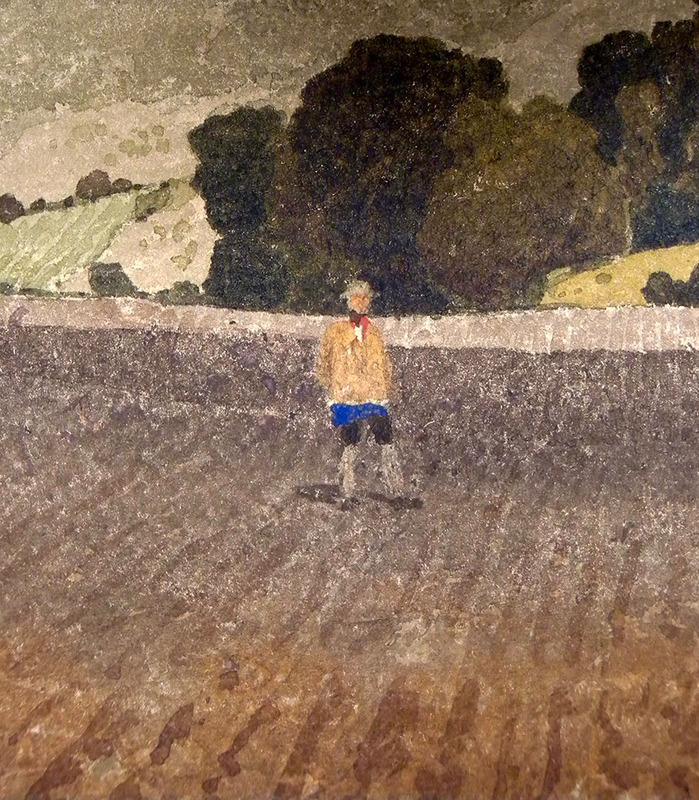 Cotman must surely have had the poem in mind when composing ‘The Ploughed Field’. 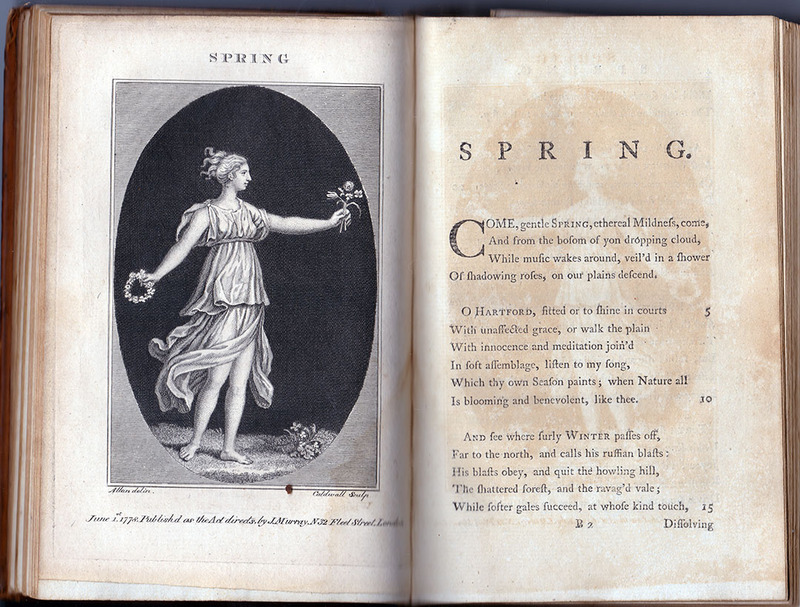 Robert Bloomfield (1766 – 1823) was an impecunious London shoemaker when his poem was published in 1800. It became the publishing sensation of the first decade of the nineteenth century, and sold tens of thousands of copies. 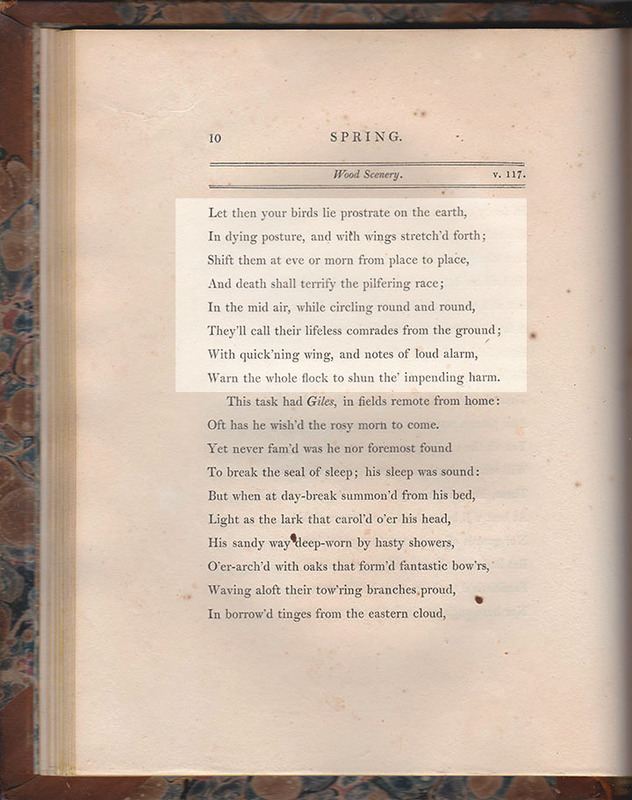 Given the popularity of the poem – it was already in its ninth edition by the time that Cotman painted this – it seems certain that Cotman would have read it. 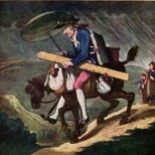 This seems exactly to suggest the ground and the situation depicted by Cotman. To level crops most formidable foes:..
Will scatter death amongst them as they rise. At best will but a short-lived terror yield:.. The conjunction of such specific and unusual details in the poem and painting seems to link them incontrovertibly. I have not yet found any specific reference to Bloomfield in the Cotman literature, but it would certainly be worth looking out for some, and nor have I made any more general search for other potential connections, although if this instance is as clear as I believe it to be, then there might certainly be others. 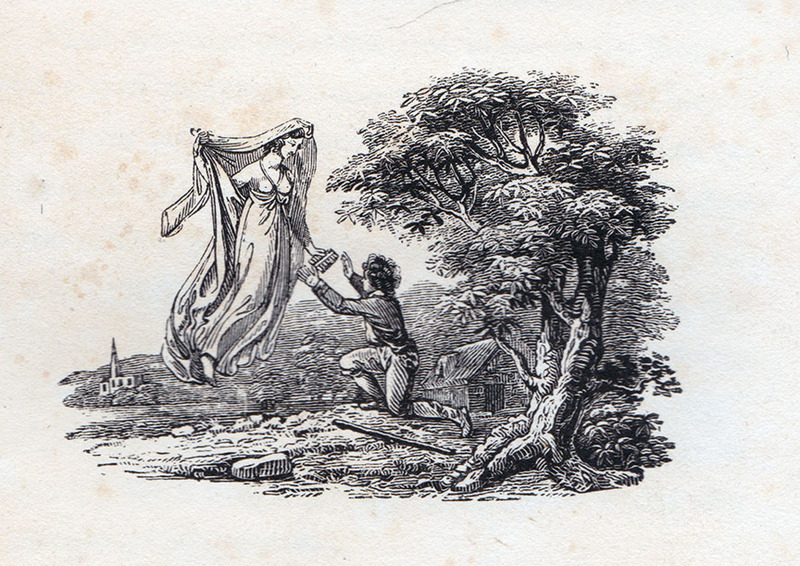 Bloomfield’s poem certainly caught the public’s imagination. 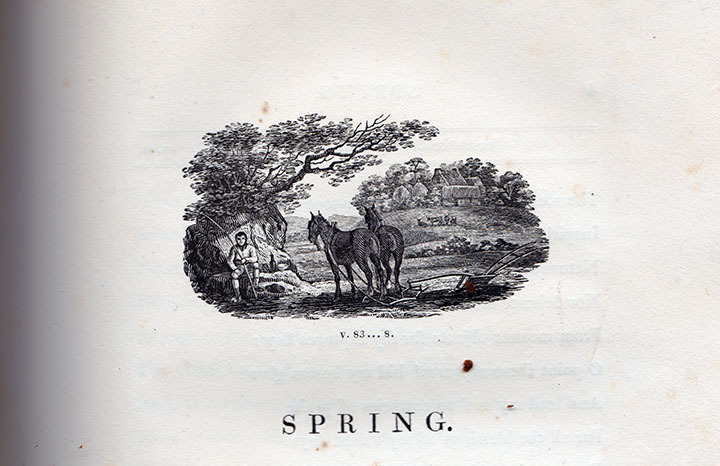 It was directly modelled on one of the most popular rural idylls of the eighteenth century, ‘The Seasons’ by James Thomson. 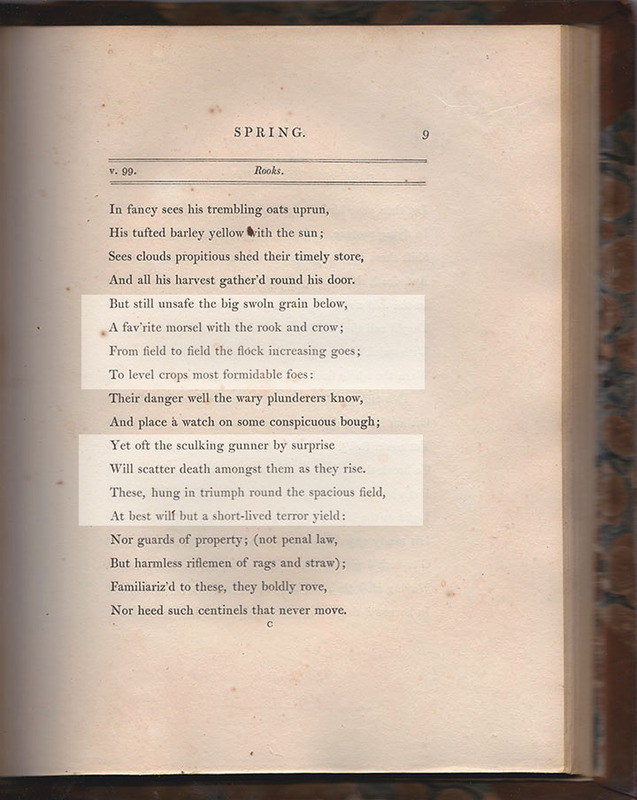 In all of its earlier editions it was prefaced by a biography of the poet that made clear his humble origins. One of the principal attractions of Bloomfield’s poem was that it was the authentic voice of the simple working man. Furthermore, the whole orthography and design of the book seems to have been intended to deceive the reader into thinking that ‘The Farmer’s Boy’ was the exact successor to Thomson’s Seasons. The woodcuts are twee to the point of being positively kitsch. They seem the calculated attempt to smuggle the idea of rural life out of the country and into the drawing room, and to neutralise any but the sweetest perfumes that might drift in from outside. 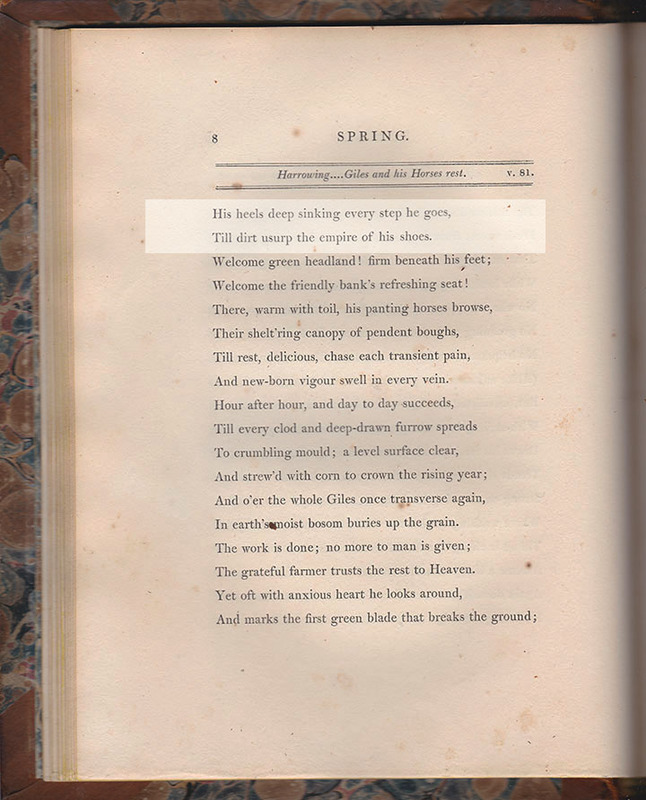 It is a remarkable coincidence that these lines stand at the beginning of the passage which appears to have caught Cotman’s eye – about half-way down page 7 of ‘The Farmer’s Boy’ reproduced above. Constable drew on Bloomfield on several occasions. I hope to give some thought to his relevance to ‘A Summerland’ in due course. Has the field been sown yet? Is Cotman collapsing two events? And is this acceptable, does Constable take such liberties with farming practise? Thanks for your comment and interest. If I’m right about the connection with Bloomfield, then the clear implication is that the field has recently been sown, and that the dead crows have been put out to deter the birds from taking the seed. I’m not sure that I see anything in the picture that militates against that, but I would be the first to admit that I’m not an expert on farming practise, and would be glad to receive advice! Your implication about Constable, however, is, I think, well-founded. As Michael Rosenthal showed in his book on Constable, the artist very well knew the practises of Suffolk and Essex farming. 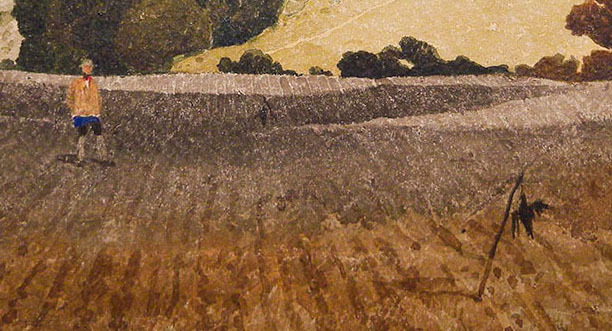 I would certainly agree that Cotman’s art does not seem so deeply planted in the earth. With regard to the exhibition, there is no record of it being exhibited in Cotman’s time. In fact the first we hear of it at all in the historical record is when it turned up at Palser’s Gallery in 1923, from where it was bought by Leeds Art Gallery. A farmer pointed this out to me and I thought that he may be responding to ? 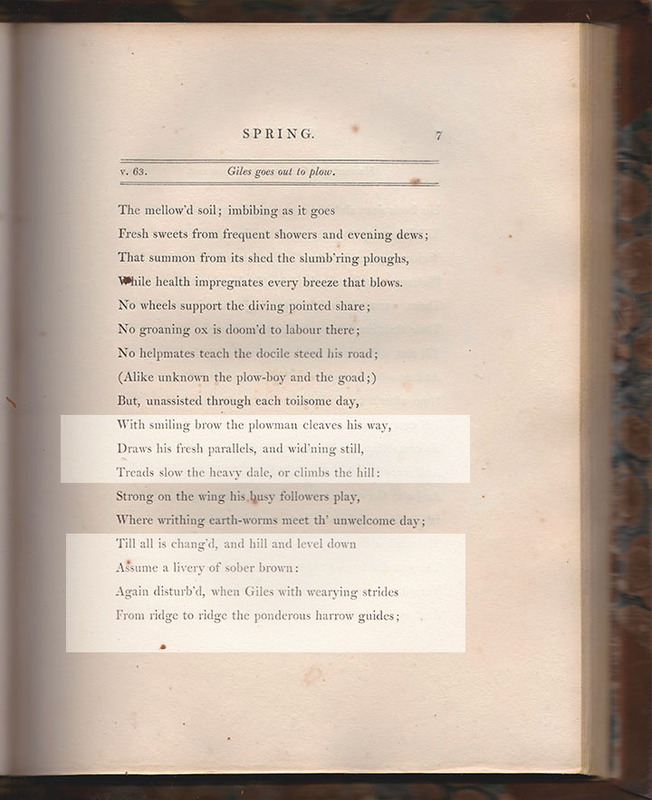 text as the poem if it’s a source is more a narrative than a description rather than reality ? As a townsman s son? 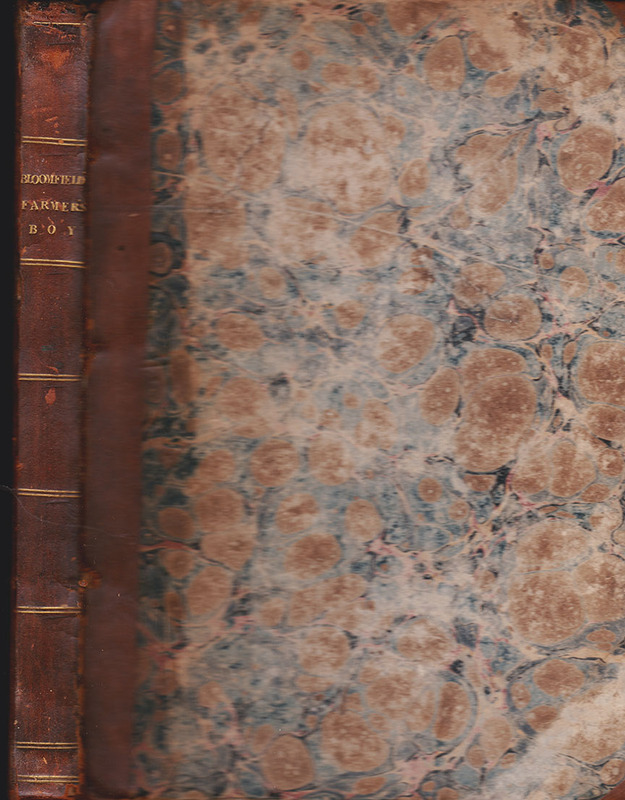 This entry was posted on November 25, 2018 by Professor David Hill in Cotman and tagged Cotman, John Sell Cotman, Leeds Art Gallery, leeds art gallery and museums, Robert Bloomfield.